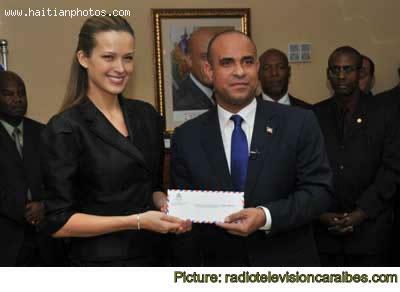 This is Supermodel Petra Nemcova and Haiti Prime Minister Laurent Lamothe. The reaction is already mounting for the decision of the Haitian Prime Minister not to look inside of his country to find his mate. Some Haitian women are angry for the fact that the Haitian Head of Government would choose a girlfriend from a country that many Haitians are not even familiar with and not of the Haitian culture.